If you perform horse riding services for physically or mentally challenged persons, you have a fairly high liability exposure that is not easily or well-insured by many insurance companies. If you are paid or compensated in some way for these services, this is commercial liability exposure that is not insured under your Homeowner’s or Farmowner’s insurance policy. Disabled therapeutic riding (hippotherapy) has been applied quite successfully since about the 1970’s. The therapy often gives special needs persons more will to achieve therapy goals when staying motivated can be a problem for improvement because of the interaction with a horse. For those with physical disabilities, improvment in muscle function may be realized as a rider comes in contact with the horse’s body warmth and motion through riding. 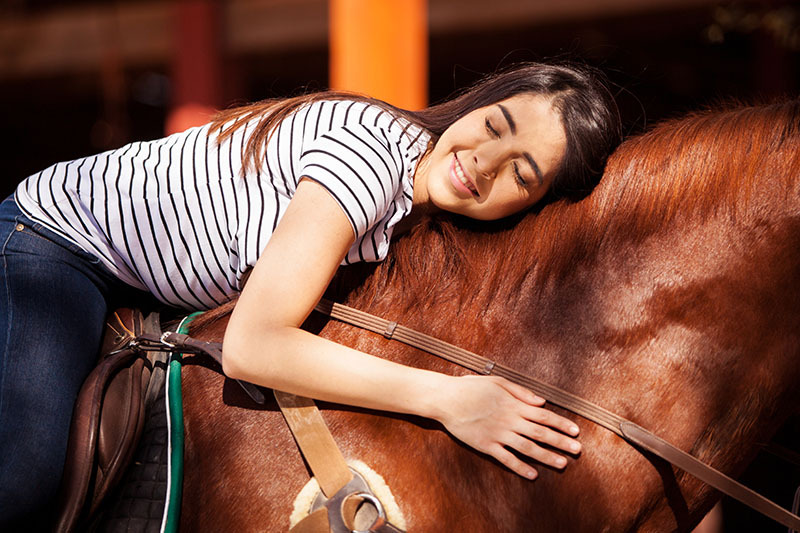 The greatest liability concern is the potential for bodily injury to disabled students or subjects seeking to ride or handle horses for hands-on mental or physical therapy. The operator usually provides a school or therapy horse and the facilities to perform the work. Depending upon the special needs of the student, an appropriate number of spotters or assistants are provided to support the student while riding and to handle the horse. Assistants are often trained volunteers. The liability of the volunteer is also insured under the GL policy, though bodily injury or property damage happening to the volunteer is not. Ideally instructors should be certified and qualified through an accreditation organization. However, underwriters will consider insuring someone that has considerable experience and training in this field. Instructors have a Professional Liability exposure in addition to the normal exposures for premises and operations. Therefore, Professional Liability is added to the general liability policy by endorsement for each instructor and there is a separate premium charge for this important coverage. Often Therapeutic Services of this type are funded through donations, grants and fund raisers, which also have a strong business component and management responsibility. You or your organization may have a Directors & Officers Liability exposure as well. As a provider of these services, you worry that you may be sued or otherwise have a claim made against you for bodily injury or property damage by a customer, guest or someone else who comes in contact with you or the property that is part of your horse operation. If sued, you will need to hire a lawyer to defend you and you wonder how you would go about doing this. If found negligent or responsible, you would likely have to pay for either a court-ordered or agreed-upon settlement to the injured party. Fortunately, much concern can be relieved when you buy a Commercial General Liability Policy [GL] to insure Disabled & Therapeutic Horse Riding Services activities. Commercial General Liability Insurance protects you from financial loss should a patient or student, visitor, or a trespasser become injured [Bodily Injury] or their property is damaged [Property Damage] in relation to your operations, and they make a claim or file a law suit against you for damages. How Risky is Disabled & Therapeutic Horse Riding Services? Moderately High. Therapeutic services to people are fairly high risk, but categorized as Moderately HIgh because the activity is so highly controlled and supervised. 1. A rider falls from a horse or becomes injured when near a horse on the ground. 2. A rider suffers additional or aggravated injury in relation to the condition for which they sought therapy.